Hops (Humulus lupulus), Valeriana root (Valeriana jatamansi rhizome), Saint John's wort leaf (Hypericum perforatum leaf) and Garden mint leaf (Spearmint leaf) normalizes the work of the cardiovascular, nervous, digestive and genitourinary systems, has a pronounced sedative effect, is effective in nervous disorders, stress, depression. Chamomile flowers (Matricaria chamomilla) provide anti-inflammatory, anesthetic, antispasmodic, strengthen the regenerative processes in the body. Scutellaria bicalensis extract a natural stimulant and a tonic, has pronounced hypotensive and soothing properties. Glycine reduces psychoemotional stress, increases mental performance. Magnesium normalizes nervous system work. Complex Sedagel restores psihoemotsioalnoe state and returns a healthy and sound sleep. Frequent stress, emotional and psychological overload violate not only the emotional state of health and fitness, but also can lead to many diseases. Phytogel Sedagel contains only natural plant extracts. A constant stress in combination with intensive psychic and information overloads may lead to serious dysfunctions of the nervous system, which in their turn may cause the development of chronic diseases. That's why to preserve health it is necessary to know how to relax, release from overstress, and resist stresses. Sedagel-Balanced natural complex helps to improve memory , attention ,emotional status , restores mental performance ,optimizes the quality of sleep and recovery processes of relaxation and rhythm of sleep , enhances the body 's ability to withstand sudden stress , mental and nervous overload , improves blood circulation and oxygen supply of brain tissue, relieve vascular spasms and prevent critical cerebrovascular conditions. 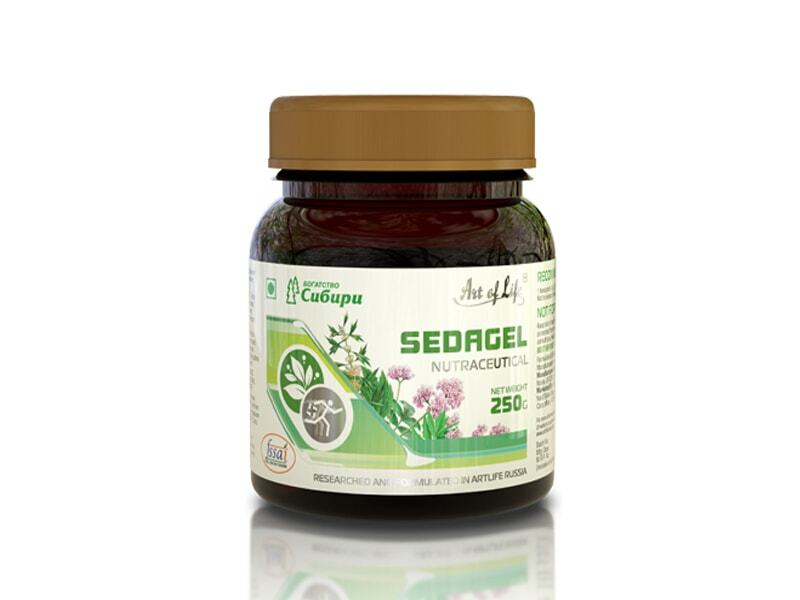 Directions: Sedagel recommended as a dietary food supplements as a source of flavonoids, organic acids.